A little planning and strategizing goes a long way to your success in graduate school. These nine strategies will help you work smarter and make the most of your grad school experience. Start your first semester by dreaming big. Think about where you want to be in ten years and plot the points—skills you want to build and experiences you want to have—that will get you there. Like a sailor navigating the ocean, understanding the stages along the way will help you get to your destination. 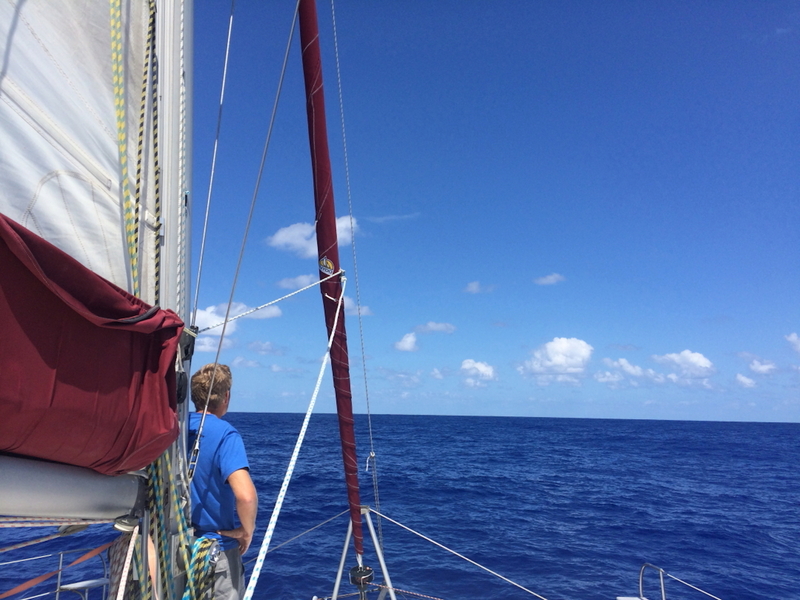 Should your destination change midway, it’s easy to re-plot your course and get back on track. The Graduate Bulletin contains policy information for graduate study at the University of Nebraska–Lincoln and should be your first stop when you have questions about academic progress, funding, registration, and more. Some departments also have a graduate student handbook. Read the entire handbook, even if some of the information (like preparing for comprehensive exams or thesis requirements) may not be relevant yet. By familiarizing yourself with requirements now, you’ll make it easier to access them later! If you haven’t already, touch base with your advisor, lab or TA supervisor (if you have one), and graduate chair. Some departments schedule a meeting with all graduate students at the beginning of the semester. In these meetings, you’ll get an overview of important departmental deadlines and events, including guest lectures. Find out about professional development opportunities you can take advantage of, and put them on your calendar now. Get to know your advisor and discuss your long-term plans. In your meeting, share the strategy you’re developing. Often, your advisor will have insight that will make you more productive and help you reach your goals. Finally, if you’re a TA for a professor, meet before the first class to discuss responsibilities and expectations for the class. By discussing grading policies, what to do if a student approaches you with a concern, and scheduling a regular meeting time for you to touch base about the class, you’ll be prepared for most situations. Before meetings, plan what you want to discuss and share an agenda with your advisor or supervisor. After your meeting, send an email summarizing what you’ve discussed and agreed on. If your advisor or supervisor has corrections or additions, you’ll have them in writing. Plus, you'll have a record you can refer back to for clarification in case you've forgotten the details of the conversation. This makes following through on your commitments easier. Your network includes everyone in your department. These relationships are easy to develop when you're in class, doing research, and attending department functions. Find ways to expand that network in your first semesters of graduate school! A growing network provides you with more opportunities, now and in the future. Attend guest lectures in other departments, and get to know graduate students and faculty there. Take time to introduce yourself to the speaker, too. It’s a great way to grow your network beyond the University without having to travel. To continue expanding your network beyond UNL, attend conferences and go to presentations related to your research (or attend panels in areas you’re interested in breaking into). By meeting presenters and other attendees, you’ll create opportunities for additional connections. Later, when you’re looking to collaborate on a research project or you’re applying for jobs, you’ll already have a well-developed network you can draw on. Don't fall into the trap of making graduate school all consuming. If you treat it like your job, you’ll be better at committing time to working and scheduling breaks. And studies show that reasonable breaks make you more productive in the long run. To do well in graduate school, you need to be organized. This means keeping track of your reading lists and meeting deadlines. If you don’t have systems to track what you’ve read, keep tabs on notes, and organize your tasks and their due dates, now’s the time to adopt some. Investing a few hours now to get organized will pay dividends down the road when you need to write an article, share a particular article you’ve read, or effectively prioritize your time. During grad school, you’ll have the opportunity to present your work in class or at a conference. You’ll do plenty of writing, and you’ll work in groups. You might manage a research team or head up a special project. These types of experiences build speaking, writing, and management skills that are applicable to any future career in any discipline. You’ll have a number of roles and responsibilities to balance (TA, student, and friend, to name a few), so it’s important to manage your time well. Keep track of how you spend your time, and do your best to stay on task. Keep yourself accountable and balance your priorities—not just for your studies, but for life in general. Remember—your graduate work is a job. Studies show that more that 55 hours a week spent working can be counterproductive; you need rest to be effective in your job. So, after a good day’s work, give yourself a break: enjoy friends and family and take the time you need to recharge.